We have been writing about capital destruction. This week let’s look at an event which is currently making news. Social Security will begin tapping into its trust fund this year. This happens, as the Social Security Board of Trustees states antiseptically, “four years earlier than projected in last year's report.” In other words, the economy is growing by every conventional measure, yet Social Security is spending more than its tax revenues years earlier than projected. According to those same inaccurate projections, the trust fund won’t run dry until 2034. There are several aspects to this that are worth understanding. We will unpack this mess. 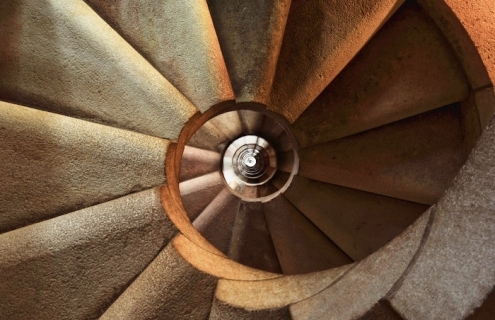 Let’s start with a look at a proper defined-benefit pension program. It works by setting aside a portion of workers’ wages into an investment fund. Based on actuarial tables, they know that if an employee works from age 21 through 65, he will live on average X years in retirement. Based on long-term market data, they know that the fund can expect to earn a yield of Y percent per annum. Therefore, they can calculate a stipend to pay the worker in his retirement. It should be noted that this stipend becomes worthless, sooner or later, in an irredeemable paper currency regime. That’s because the currency is constantly eroding. What begins as a reasonable monthly income, shrinks into insignificance as the currency loses value. Pensions responded to this problem by offering annual cost of living adjustments (COLAs). Unfortunately, the COLA is an impossible promise. That’s because the universe does not guarantee that investment returns shall exceed increases in the cost of living due to the falling dollar. As we have written several times, there are also nonmonetary forces pushing up prices such as taxes, regulations, litigation, zoning, licenses, compliance, etc. Investment returns do not increase, whenever these costs are rising (likely the opposite). The problem of investment returns insufficient to match rising cost-of-living becomes acute, when interest rates are falling, such as we have had since 1981. That’s because a pension fund invests assets to earn a yield, to earn interest. And the central bank induces a continual drop in interest rates. Next, a properly-run pension cannot be “spiked”. It cannot pay workers based on their salary for their last few working years, especially if they cram lots of overtime. The stipend paid over the length of retirement has to be based on the salary deductions over a lifetime of working, and the age of retirement. Needless to say, a proper pension cannot add new beneficiaries late in their careers. Indeed, it cannot make any new promises to anyone. It can only invest to earn the returns predicted up front, and only pay workers the pensions calculated up front. Note that earning a yield—interest—is key to the whole thing. Interest is earned during the years the employee is working, while he is setting aside money from his salary. And it is also earned during his retirement. There must be a strict accounting of funds for each worker. The only pooling of funds is for an actuarial purpose. 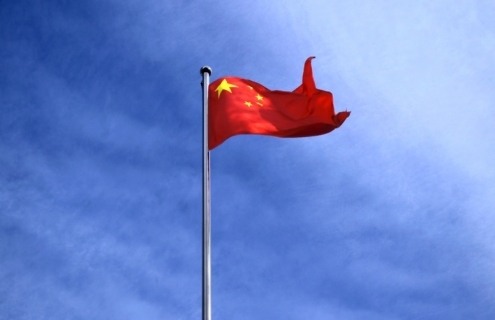 Some workers may die before retiring. Others may die soon after they stop working. But others will live much longer, with a few continuing to collect payments for 35 years or more of retirement. They are all pooled, so the fund averages the outcomes of all workers. The pension fund is expected to draw down its balance as its retirees age. It should not be designed to run out of money and default on living retirees. Nor should it have a big surplus left over after the workers all die. So much for a properly-run pension fund. Pension fund managers understand something that few, other than readers of this Report, understand. The falling interest rate erodes the capital of the fund. They are falling shorter and shorter. We assume that they despair of ever trying to explain this to workers and retirees. The politics, not to mention optics, would be against them. The unacknowledged truth is that with each drop in interest rates, there must be cuts in actual and promised benefits. Or else the amount taken from workers or their employer must go up. Needless to say, this doesn’t happen nearly as often as it should. Even most private pensions are insolvent. They cannot continue to pay what they promised, without running out of money before all retirees die. The pension fund is consuming its capital at a faster rate than the actuaries calculated. Retirees will suffer losses, perhaps the total loss of their monthly checks, depending on how the pension manager responds to the crisis. A private fund has a limited means to reach out and take money from innocent third parties. If the fund is insufficient to meet the needs of current retirees, it can’t really get that much from young workers. These workers have a choice, they can simply switch jobs to avoid this tax. Enter, Social Security (SS). SS is not run as described above. Let’s look at the key differences. First, there is no way to opt out. So young workers are forced to subsidize current retirees. Second, promises to pay benefits are made without consideration to setting aside the beneficiaries’ money first. SS is very big. It seems that big things, especially big government things, can be used as slush funds to make promises in exchange for votes. And no one complains until their benefit is defaulted (by which time it will be far too late). Next, SS is explicitly designed to be pay-as-you-go. That is, current workers are paying for current retirees. There is a giant switcheroo being pulled here. On the one hand, everyone who reaches the age of retirement thinks that he has “paid in.” And yet everyone who is working is paying out! Their money is not going in to a fund (or not all of it). It is going to current beneficiaries. In exchange for this blatant rip-off, they are promised to be paid later. Paid how? By taxing the next generations, some of whom haven’t even been born yet. 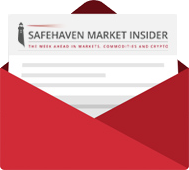 Our focus in this article, as all articles, is on the economics. But we must pause here to say it. SS is a moral outrage. We have just described a Ponzi scheme. Ponzis are characterized by payments to early investors coming from the money paid by new investors. All Ponzis collapse. The difference, when government runs such a scheme, is that it can postpone the collapse by pulling in more and more fresh victims. Instead of just a few people losing their money early, everyone loses in the end. Government can scale it up so much that it risks collapse of the entire monetary system, and even the government itself. Finally, we get to the SS trust fund and the controversy du jour. Unlike in a proper pension, this fund is not designed to support current retirees from the contributions they made plus the accumulated compounded interest. It was never designed that way. Most of the debate seems to center on the nature of the fund (a bit ironic in light of the above discussion). The proponents of SS say the fund is real. The opponents say there is no fund, it’s all been spent. Who is right? Each side is right, in different respects. Over the last decades, it is a fact that more current workers were paying more money than current retirees were being paid. They call this a surplus. Surplus is not really honest. The government does its accounting on the cash basis. This simplified method is only allowed for the smallest businesses. For example, suppose you run a hot dog concession at a stadium. You buy frozen hot dogs and buns, plus condiments and paper goods before every game. You sell hot dogs to hungry people at the game. If you spend $1,000 and take in $1,500 then you have a profit of $500. It’s a very simple business. Cash basis does not work for an insurance or annuity business. Just because you take in $1,500 in premium, and pay out only $1,000 in benefits this year, does not mean you have a $500 profit. To determine your profit, you have to know how much you have promised to pay in the future. This is called accruing a liability. If you accrued $10,000 worth of promises to pay future benefits, you really lost $8,500 even though you have positive cash flow of $500. The cash flow is positive this year, but it will turn extremely negative in the future. Anyways, assuming you accept the use of cash and not accrual accounting, the surplus is real. SS has been taking in more tax revenues every year than it has been paying out to beneficiaries. It is setting aside this surplus. SS proponents are correct. The surplus is invested in Treasury bonds. The SS fund has the bond as its asset. Yet opponents are also correct. The money is spent by the government as soon as it’s received. In exchange, the government gives the SS fund a piece of paper. That piece of paper is called a bond. It is evidence that the government has borrowed from SS, and promises to repay. However, the government lacks the means and intent to repay. And in any case, there is no extinguisher of debt in the system, so the government could not repay even if it wanted to. This calls into question the government’s borrowing from the SS fund. What does it mean to borrow without the means or intent to repay? SS opponents are also right. The SS surplus has been spent, and will not be repaid. SS, like any other creditor, can collect interest as the government services its debt, which it does by selling new bonds to repay old bonds when due plus the interest. 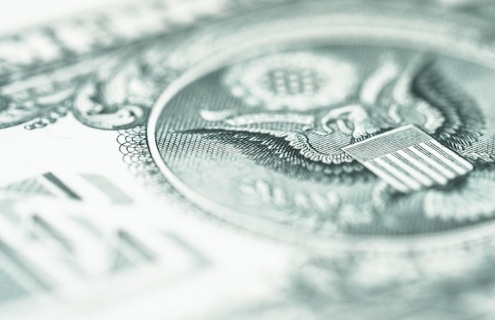 SS, like any other investor, can get its money (well, dollars) back by selling the bond. That is, the bond is irredeemable—but it has a market value. The government will never repay the money—but a new investor will pay an old investor, to buy his bond. Related: Should Investors Start Lining Up For North Korea? Many people rightly ask questions, such as what will happen when everyone is selling bonds in order to get their money back. Many argue that the SS fund is not real because it owns Treasury bonds. They should take this inquiry all the way to its logical conclusion. If it’s true, that the Treasury bond is not money good, then the problem is much bigger than SS. If you see a problem with SS holding Treasury bonds… If you think that the government has spent the SS fund’s money and given it a piece of paper that will not be honored… then you should realize that the same applies to any private pension fund that owns Treasury bonds. And the same applies to any investor who owns Treasurys. Including any bank. And the same applies to anyone who holds dollars (which are just the Fed’s liability, used to finance its portfolio of Treasurys). If the problem exists for the SS fund, it exists for all of us. The government consumes our surplus, and gives us paper in exchange. Counterfeit paper. People call this counterfeit paper “money”. The world needs an asset that pays a yield—endlessly rising price will not work. And this asset must be honorably paid, not irredeemable, and not borrowing without means to ever repay. It needs an honest gold bond. Keith has one thing to add. He was in Carson City, NV this week. Here is a picture he snapped out of the window of his car. 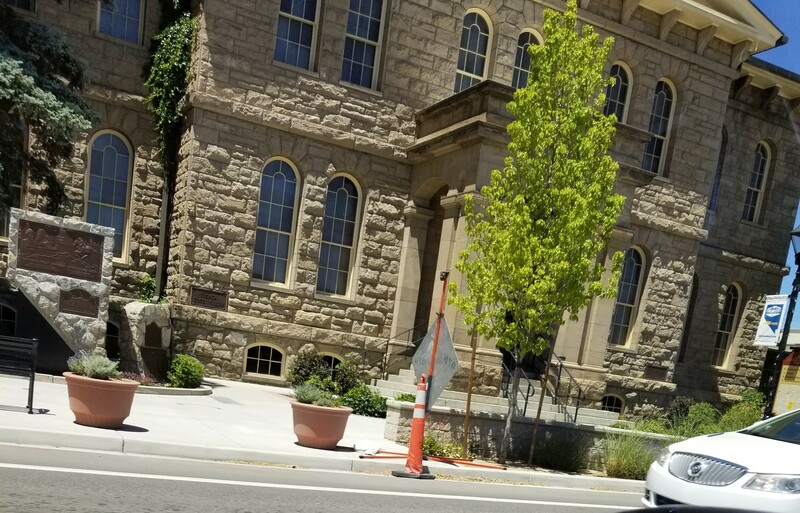 It is the former Carson City Mint, opened in 1870 to produce coins from the silver that came from the local Comstock Lode. It closed a few decades later. Now, this important historic building has been turned into the Nevada State Museum. The old Coin Press No. 1 is still there. This is not an environment for a Lift Off Event. The price of gold didn’t move much Mon-Thu this week, though the price of silver did seem to be blasting off. Then on Friday, it reversed hard. 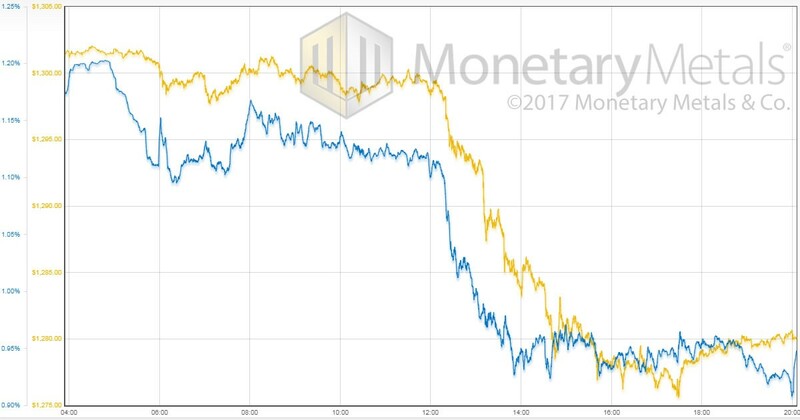 We will provide a forensic look at the intraday action on Friday, and our usual picture of the gold and silver fundamentals. 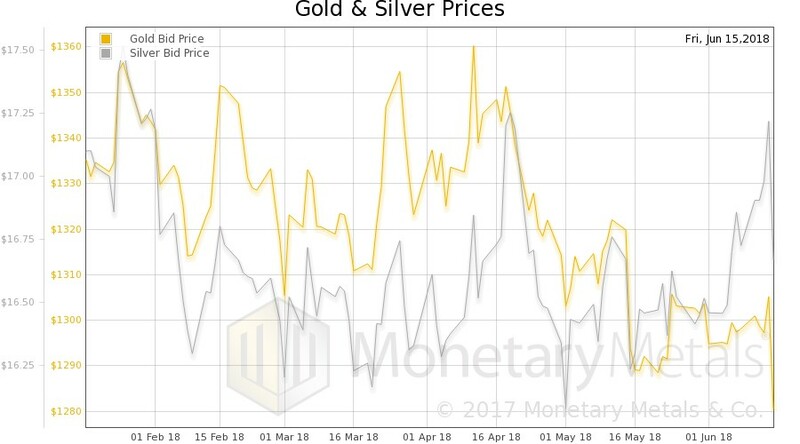 But first, here is the chart of the prices of gold and silver. 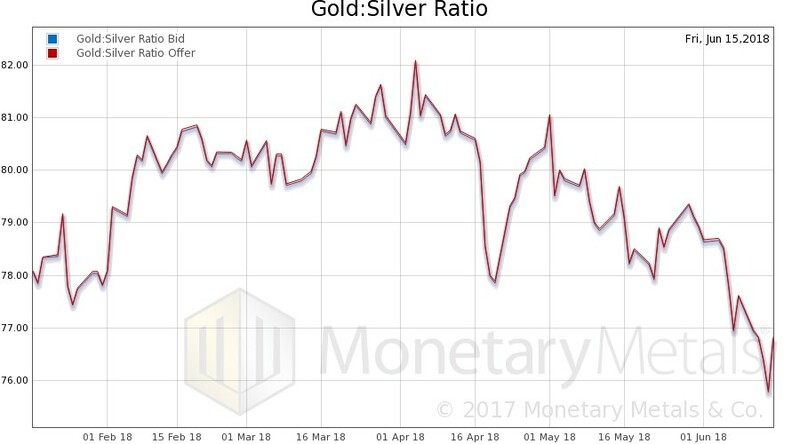 Next, this is a graph of the gold price measured in silver, otherwise known as the gold to silver ratio (see here for an explanation of bid and offer prices for the ratio). It fell most of this week, recovering to unchanged by market close on Friday. On Friday, there was a big rise in the dollar (i.e. drop in the price of gold). And a sizeable increase in the scarcity of the metal to the market (i.e. the cobasis). Nothing unusual about this. The Monetary Metals Gold Fundamental Price fell another $16 this week to $1,335. The fundamental has now completed its round trip, first up out of the range it’s held since Q2 2017, and now back into that range. The price of silver was up all this week, until Friday. The drop on Friday more than reversed Mon-Thu. And not surprisingly, the scarcity of silver fell those four days, and rose sharply on Friday. The Monetary Metals Silver Fundamental Price rose 38 cents to $17.13, right back to where it was the previous week. Friday was a big day in the market. Let’s look at the price and basis action. First, here’s the gold price overlaid with the August basis. In the wee hours of the morning (this is London time), the basis begins around 1.2 percent. By 2:00pm, it is down to about 0.93 percent. This is a drop of 25bps. In other words, 21 percent of the total basis was sucked out during the move. When basis falls, this means the price of futures is declining relative to spot. When it happens during a price drop, then we conclude that the selling was stronger in the futures market than spot. However, do not take away from this that demand for physical metal was strong but someone pushed the market down $21 by selling futures. 25bps means that the spread between the August future and spot dropped by about 41 cents. Let that sink in. The market price dropped from $1,301 to $1,280, or $21. The spread between futures and spot fell by around 50 cents. The selloff may have been stronger in futures, but make no mistake. The selling in spot was nearly as heavy. Here is the silver price overlaid with the July basis. There are some interesting differences. In gold, the price holds steady until just past noon, while the basis is clearly dropping. This means there was steady, but light, selling pressure in futures offset by steady demand for physical. The selling leads the price down, which only converges with the basis around 3pm. But in silver, the basis is falling with rising price from around 7:00am. This means robust buying of physical metal. 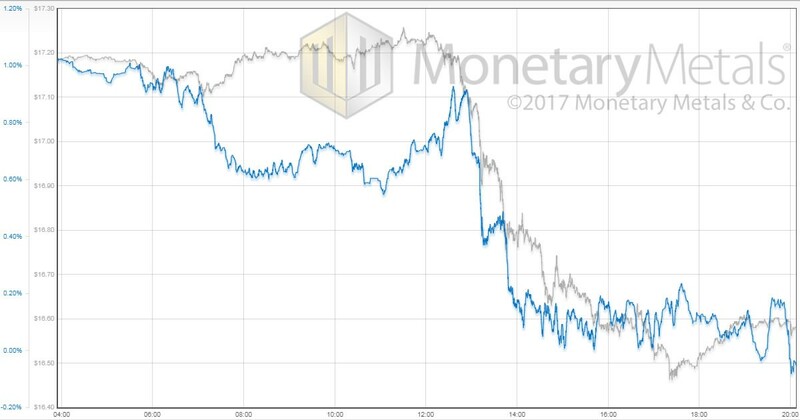 Then the basis begins rising around 11:00, with steady price, indicating speculators buying in the futures market, just as buyers backed off in the spot market. The basis continues to rise through about 13:00, by which time the price has already dropped 15 cents. Rising basis and falling price means selling of physical metal. Sorry, but that is the mechanics behind this observation. Finally, the price and basis go over the edge as in gold. The basis drops from around 1 percent to around 0.1 percent (this is the July contract, already under heavy pressure due to the roll, so take the magnitude with a grain of salt). This amounts to about a 1.5-cent drop in the spread between July futures and spot. The gold fundamental price fell $10 on Friday, but the silver fundamental rose 9 cents the same day. And this is why we watch the fundamentals. 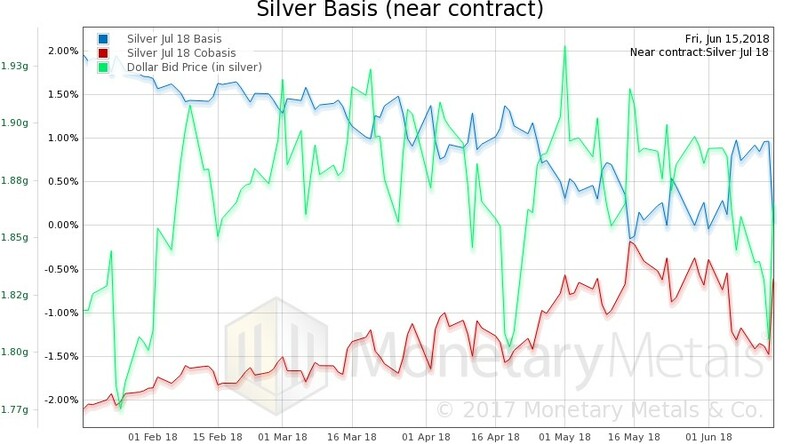 Looking only at price, one would have to think that on Friday the market changed, and people wanted less silver. Yet the price at which the metal would clear, absent speculators in the futures market, was up slightly. 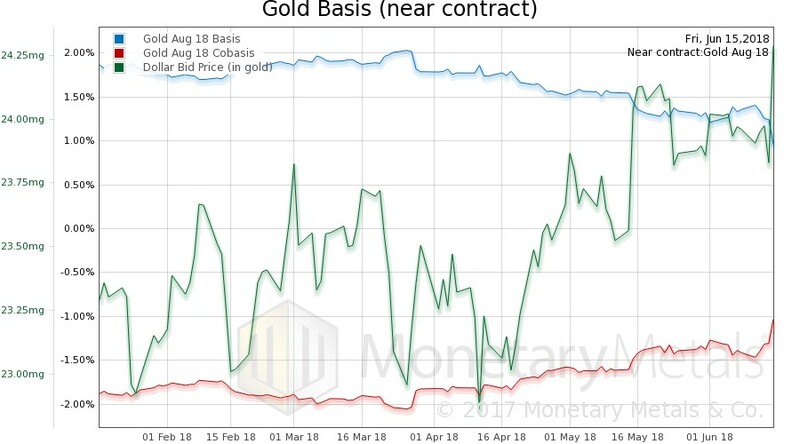 This means that the fundamentals of gold continued their slide from late April. And silver’s fundamentals increased this week. The price action might suggest only the former.